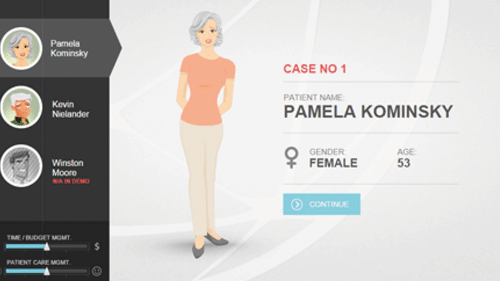 Course design is a critical factor in determining the quality, quantity, and type of interactivity. Check out this infographic and discover 8 factors that lead to an engaging eLearning course. 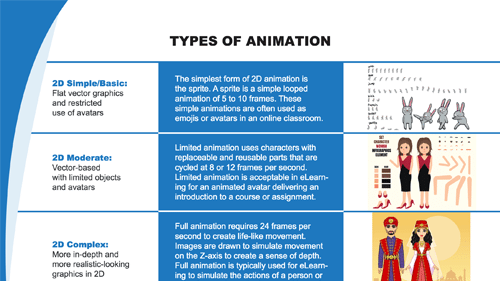 Understanding what the different types of animation are can help you plan and decide which type will work best for your course. Animation can be a great learning tool! Assessment is an essential part of any course. Discover how to create useful assessments that complement your coursework and provide meaningful learning experiences. 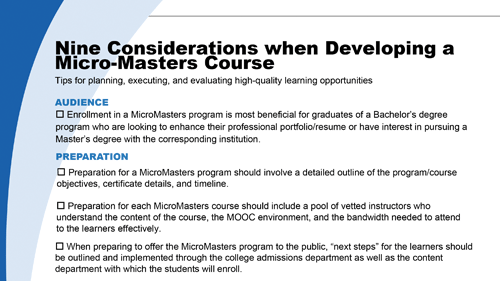 A micro-masters course should be designed with the mindset that you are taking the learner to a higher elevation. 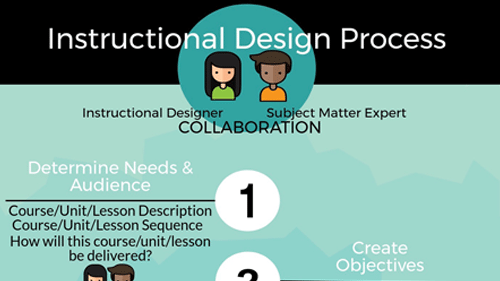 Here are 9 considerations when developing your course! 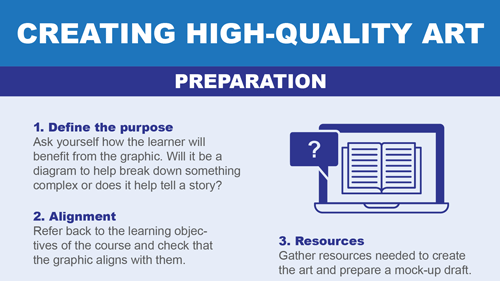 What do you need to take into account when preparing to create high-quality art to support learning? Download this infographic that is a handy resource for answering your questions. MOOC, the web-based distance-learning course, is becoming the future of higher education. 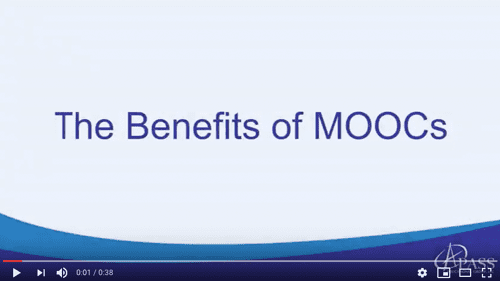 This short video describes the benefits of MOOCs to students and institutions. I appreciate their attentiveness and desire to provide exactly what we were looking for and went to great lengths to find just the right photo.